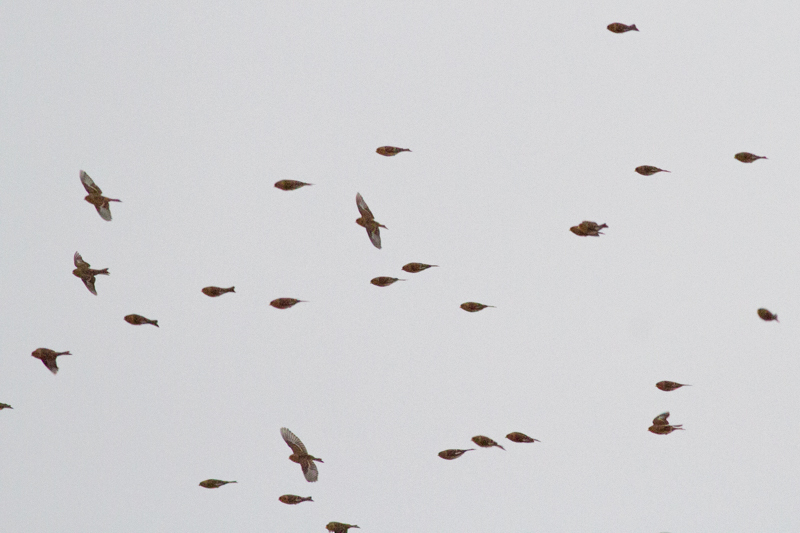 This winter has seen an unprecedented influx of Twite into Galway and Clare. 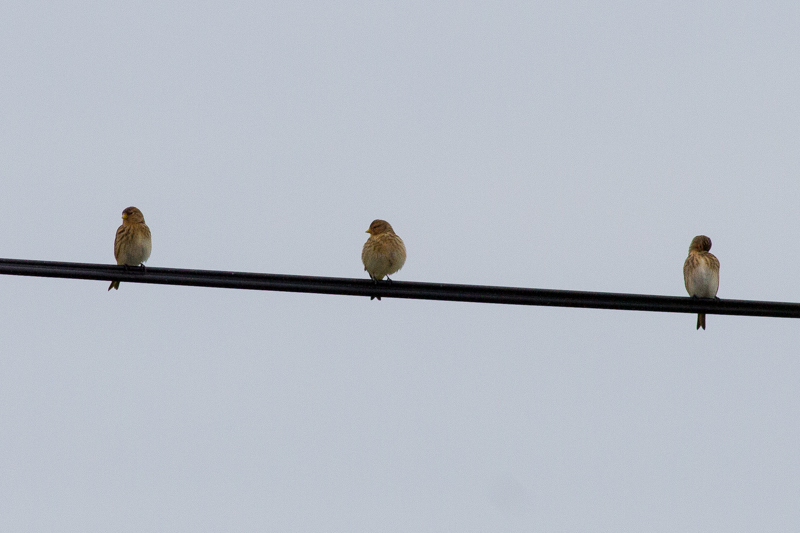 Until recently the only regular spot for Twite in Galway was the Nimmo's Pier area. These birds haven't been seen in the area now since 2009. This species suffers from much misidentification however. I would suggest that a lot of the recent and even some old records especially from the summer months are dubious. I've been sent a few photos of claimed Twite seen here in the summer and all without fail were of juvenile Linnets. Back to this winter we've had several records of flocks along the coastline, many of which have been photographed by reliable birders leaving no doubt as to their identification. I've listed out this winter records to date. There will surely be more found during the rest of the winter. Eight, Loop Head, Co. Clare, 5th November. One, Clahane, Co. Clare, 8th November. Four, 1st December. Seventeen, Aughinish, Co. Clare, 30th November. Thirty-five, 3rd December. One, Inishark, Co. Galway, 23rd November. 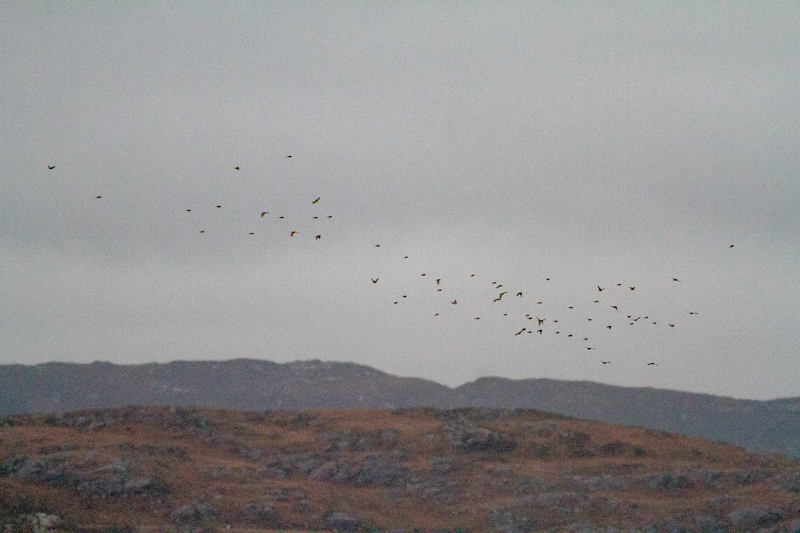 Two, Tawin Island, Co. Galway, 23rd November. Five, Murlach, Ballyconneely, Co. Galway, 29th November. Sixty-seven, Coral Strand, Ballyconneely, Co. Galway, 6th December. The last record above is one of my own and is a spectacular number for this part of the world. The best previous modern record was twenty-four very close by on 24th March 2015. There are a few other outliers from the 1968 -1972 and even from the most recent Bird Atlas including inland breeding records but I'd have questions about some of these records especially the more recent possible breeding records. Twite are now only found breeding in the extreme north-west of Mayo and west Donegal with a total population of probably no more than 100 pairs. This species is in extreme danger of becoming extinct here. Much like the now extinct Corn Bunting they are your typical LBJ - little brown job. 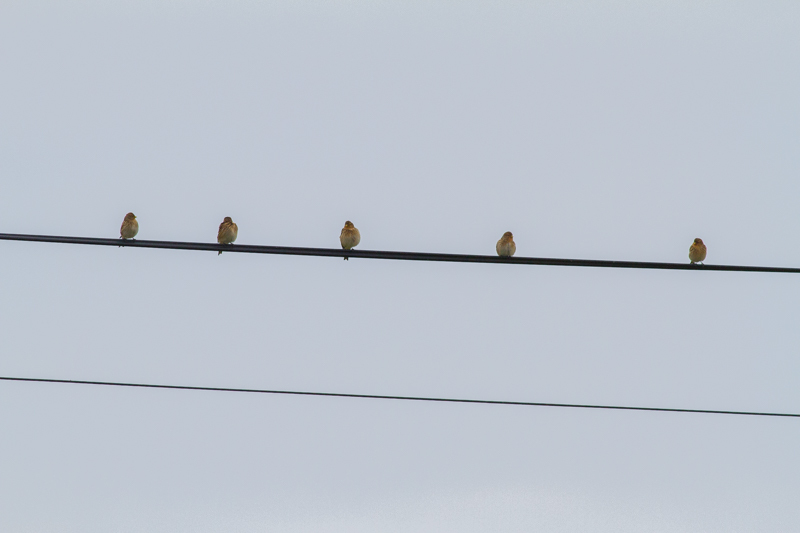 Unfortunately most non-birders have never heard of a Twite before. A recent Twite prescription in the GLAS agri-environmental has been started which aims to address this decline in the areas that still holds onto the species. Most Irish Twite don't seem to move very far from the breeding grounds and I don't think any of the the Clare or Galway birds are Irish but are more likely to be Scottish. There have been recoveries of Scottish birds (Islay, Mull Of Kintyre) wintering in Ireland according to Derek McLoughlin. Derek undertook a PhD on the species from 2005-2009. He wrote a great piece on the species for Birdwatch Ireland which is worth checking out in the link below.